Instructor - Shawn Tempesta. Cost $40. 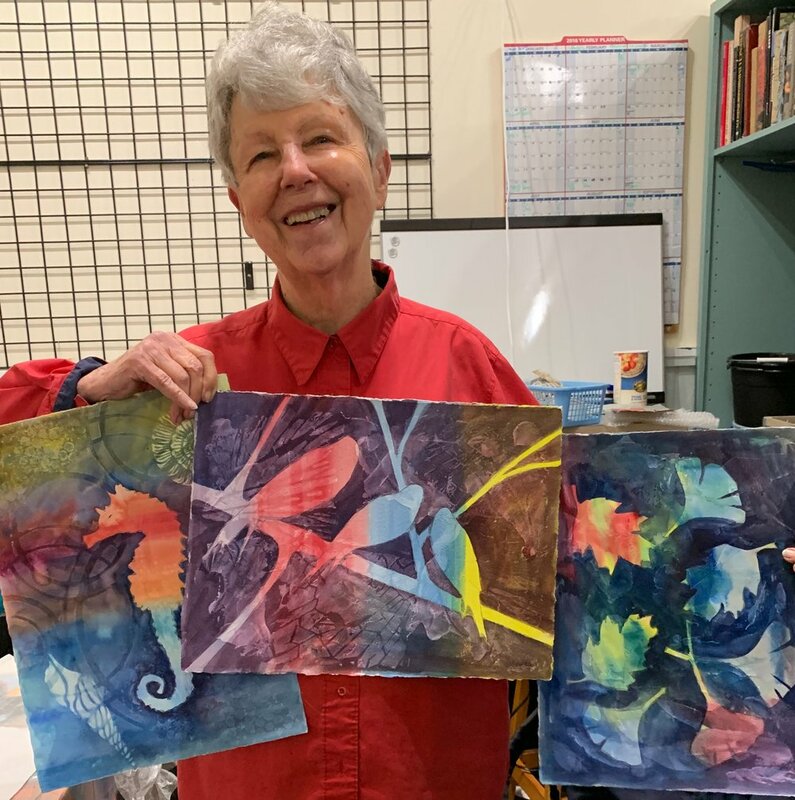 To register for this class, visit Art by the Sea Gallery at 145 Fillmore Ave., SE in Bandon or call 541.347.5355 - open daily between 10:00 am and 5:00 pm. All tools and materials provided but bring your own if you wish. Students will learn how to transform found stones, agates and treasures into a beautiful pendant. Instructor: Terry Magill. Cost $35. Maximum amount of students: 6 - Minimum 3. After months of low light and gray days, the first brilliant yellow daffodils popping out in the countryside stir the soul. Shy trilliums in the forest and feathery clouds of wild cherry blossoms lead the progression of blooms from wet winter days through to the fullness of summer gardens. Terry states that she enjoys this progression each year because she then gets to paint her favorites again. Please bring your favorite painting supplies. Terry will also have extra materials on hand. Plan for a lunch break. To register for this event, visit Art by the Sea Gallery at 145 Fillmore Ave., SE in Bandon or call 541.347.5355 - open daily between 10:00 am and 5:00 pm. Instructor: Sharon (Shane) Guinn. Cost $22. All supplies included. This class is similar to Zentangle but we will take it further and focus on design taking line and shapes to make art! We will use these qualities of line and shape to design a piece of art that will have your artistic fingerprint throughout. Start looking through your magazines for the shapes and art forms that inspire you and bring clippings with you….some ideas will be provided. It is fun and will exercise your creative skills as you draw and doodle through your project. Shown below are a few examples of Sharon’s own shape designs. If you have questions about the class you may contact her by phone at: 541-425-1213 or via email to sharonguinn@charter.net. More art by Guinn can be seen at fineartamerica.com - artist Shane Guinn, or Pinterest artist Shane Guinn. Apply principles of design, line, shape, dominance, composition. Class description, cost and hours of class to follow. Instructor: Shawn Tempesta. Cost - $45. NOTE: Class full. Waitlist available. All materials provided, which will include acrylic paints, two practice canvas boards, two 8x10” stretched canvases, pouring medium etc. Students are advised to bring an apron and dress for mess! Also bring with you boxes or cookie sheets to transport wet art when you take your completed pieces home. Learn 3 different “pour” techniques. Start with two 5”x7” practice canvas boards, then make two pieces of art on 8”x10” stretched canvases. Instructor - Candace Heidenrich, MFA. Cost - $55. All materials included. Uplift your spirit and environment in this meditative Ikebana workshop. Learn about Japan and the way of flowers, one of the three Japanese Arts of Refinements. In this workshop, you will learn about selecting items from nature, arranging in a minimalist way, and how to bring arrangements into your daily life. Experiment with various materials and leave with a special Ikebana arrangement to enhance your home or office setting. All materials will be provided for one take home arrangement, including: kenzan, container, and natural items. If you wish to have more than one arrangement to take with you, feel free to bring frogs (kenzan), low bowls, vases, baskets, ceramics, flowers, leaves, branches, twigs, ferns, moss, rocks, and stones. No specific instruction provided. Bring your own project and ideas to share. 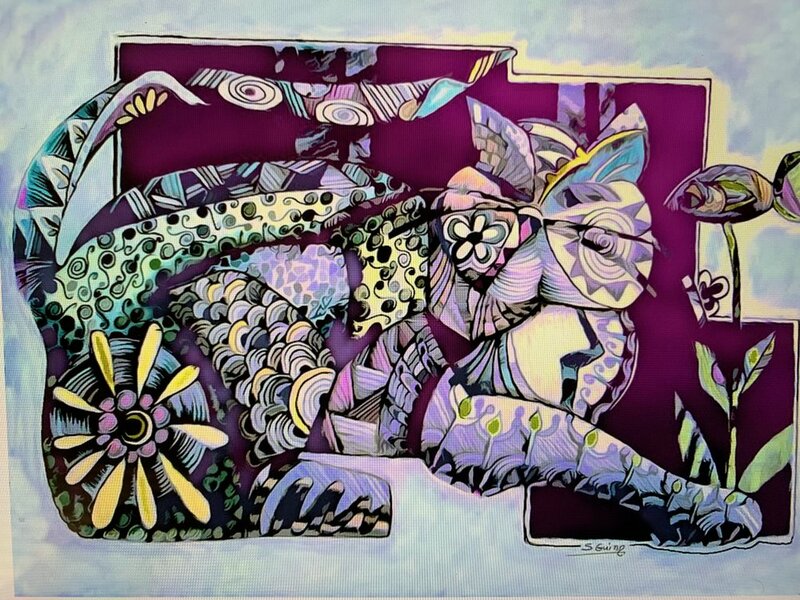 Students can expect to have fun creating textured, layered, complex backgrounds and then turning them into coherent paintings (choosing either abstract or representational). We will start by creating unique backgrounds with a variety of texturing materials and gesso on paper. The focus will then be to work with those backgrounds to make them into coherent paintings, using either watercolors or liquid acrylics and two different painting techniques; negative space painting and value capture painting. Some painting experience will be helpful. A materials list for this class will be on view at Art by the Sea Gallery & Studio. Instructor - Jean Stephenson. Cost - $35. All materials included. Create a landscape of your choice. Bring to Class a photo or reference of your choice to work from.